Hello we moved from Ontario Too Edmonton.We have been working with parrots for over 25 years now.And We just love what We do.Please have a look around our website for more info about us. We also do Bird Boarding. Our main goal is to provide for all parrot owners the tools and information required to maintain a healthy relationship with their parrots. We do this by offering, information, articles and links to relevant information on parrot care and parrot safety to assist owners with all their parrot needs. We are also available anytime of the day to answer questions and assist in an emergency. We also assist during a family crisis to ensure that your parrot receives proper care during a time of crisis. We feel educating the public on the care and keeping of parrots whether they are rehomed parrots or a new parrot bought from a pet store its important and will help those who later down the road could end up being a rescued parrot.There is a small fee for all parrot's.This fee help's us too keep the parrot rescue going. We do not BREED parrot's here at the rescue.We ask when you come too the rescue with you'r parrot to please give us as much info about you'r little one as you can.We also ask that you give you'r little one his/her's cage and toy's that you'r parrot may have.This will help you'r little one out.Too have some thing that you'r parrot live's in and the toy's they play with. Adoption fees and donations are NONREFUNDABLE. If you adopt a bird and find you can no longer keep it, it MUST be returned to the rescue! If you can't commit to an adoption, consider supporting one of the many parrots at Gift of god parrot Rescue who may never be permanently re-homed due to medical or behavioral issues. 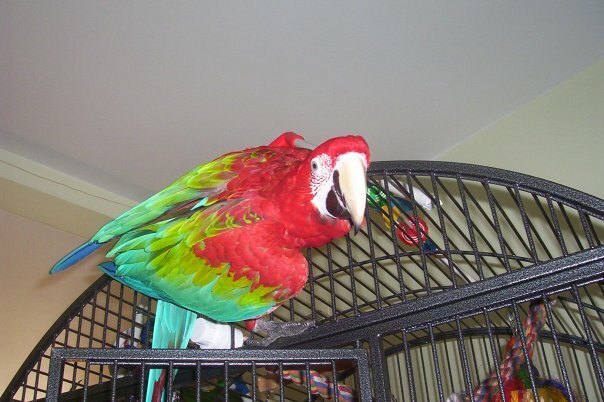 By sponsoring one of these parrots you are single-handedly providing support for his or her independent care.